Why is an Artificial Intelligence Generated Piece of Art Worth $432,500? October 25th, 2018 was a turning point in the world of Artificial Intelligence-generated art. That was the day when “Portrait of Edmond Belamy”, was auctioned off for an unprecedented price at Christie’s. It was ‘painted’ by Obvious who are a collective of French students, using a Generative Adversarial Network algorithm (GAN). The price that the auction at Christie’s generated is sure to raise a few eyebrows, more so because that the auction house had made a conservative estimate that the painting would sell for $7000-10,000. On the contrary, the $432,500 bid placed by an anonymous phone bidder signalled the arrival and legitimacy of AI-generated art onto the world stage. At first glance, the portrait looks like a work in progress due to the white patches on the sides and the slightly out-of-focus look of the subjects’ face. This painting is a part of a series of 11 portraits on the fictional Belamy family. The Obvious team used a generative adversarial network, which are algorithms used in unsupervised machine learning. They make two neural networks compete against each other to deliver a superior result. This GAN scoured images of paintings since the 14th century and used that data to generate a distinctive image. These generated images are then ‘evaluated’ by the program to see if they look anything like a work of art. Most rapid advances with technology are met with disdain by critics, and this one was no different. There have been accusations of plagiarism, not of the painting itself, but of the GAN code that was written by 19-year old Robbie Barrat. But since the code was open-source Obvious have themselves admitted to modifying Baratt’s code and using it. Even before the auction was underway, critics derided the quality of the artwork citing that the art was not original and uninteresting. Is the Portrait Worth the Price? Most people question why it’s worth so much. The seemingly inflated price follows the high prices commanded by most other human made paintings. Auctions tend to be breeding grounds for bidding-wars and can drive up the price of any artifact. Since this was a painting exhibited by an esteemed auction house, and the exclusivity associated with one of the first Artificial Intelligence generated paintings could have driven up the price. 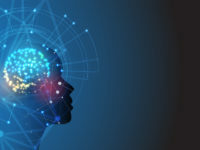 Thankfully, it’s all for the progress of technology, because the group has stated that they are going to use the money to train the algorithm further, and purchase some better hardware needed to run the program. But still there have always been questions about who is the rightful owner of the copyright of the art. Is it the algorithm, or is it the people who wrote the program in the first place. Questions such as these show us that there is still a long way for us to go in terms of accepting this Artificial Intelligence powered reality, and framing new rules and frameworks to coexist with these incredible machines. The genesis for these particular series of portraits has been Robbie Baratt’s code, and he has generated a similar series of portraits a year ago. There has also been another effort by Gumgum, an AI company, who commissioned 5 human artists and 1 AI-powered Cloudpainter algorithm to create paintings inspired by 20th-century American abstract expressionists. They then let viewers guess which painting was done by the robot, which showed how close algorithms are getting to mirroring human artistic output. Art movements across the centuries have been shaped by the kind of technology available to artists, and this has been true of engravings, wood carvings, photography, 3D printing and so on. Initially, most of these art-forms had to contend with a hostility regarding the legitimacy, whether it can really be considered art. Over time, they have all been accepted and even celebrated. We are on a similar cusp for AI-generated art where it is just getting mainstream acceptance. 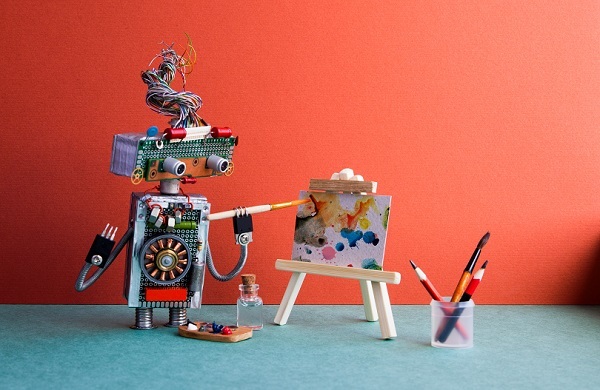 Contrary to popular belief that AI might replace artists, the accurate way to look at this is that Artificial Intelligence will serve as a tool, that helps the artists reach new artistic heights in the same way that the paintbrush, camera, and the word processor has. Because of this, it’s important that artists and viewers are familiar with AI concepts so that they can be ready for what the future holds in store. 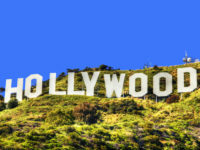 Is Artificial Intelligence the next big thing in Hollywood?